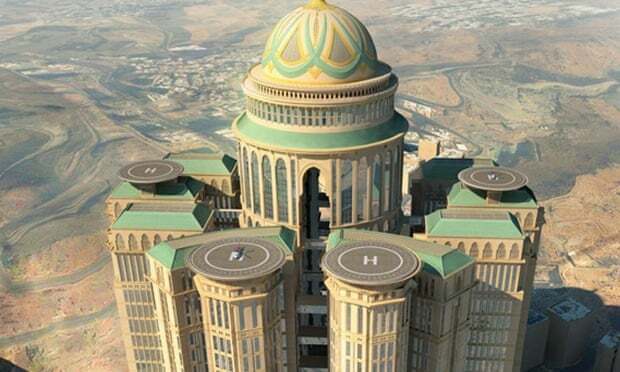 Four helipads will cluster around one of the largest domes in the world, like sideplates awaiting the unveiling of a momentous main course, which will be jacked up 45 storeys into the sky above the deserts of Mecca. It is the crowning feature of the holy city’s crowning glory, the superlative summit of what will be the world’s largest hotel when it opens in 2017. The city receives around 2 million pilgrims for the annual Hajj, but during the rest of the year more than 20 million visit the city, which has become a popular place for weddings and conferences, bringing in annual tourism revenue of around £6bn. The skyline bristles with cranes, summoning thickets of hotel towers to accommodate the influx. 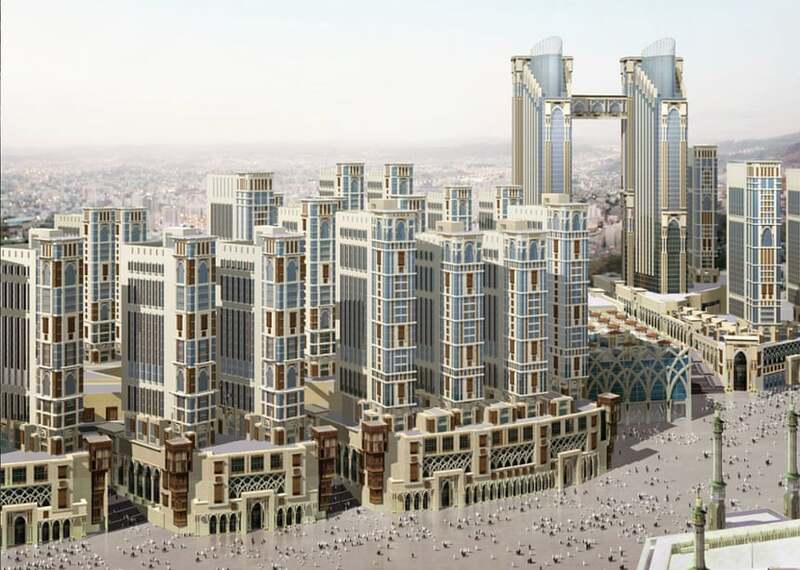 Along the western edge of the city the Jabal Omar development now rises, a sprawling complex that will eventually accommodate 100,000 people in 26 luxury hotels – sitting on another gargantuan plinth of 4,000 shops and 500 restaurants, along with its own six-storey prayer hall. The Grand Mosque, meanwhile, is undergoing a £40bn expansion to double the capacity of its prayer halls – from 3 million worshippers currently to nearly 7 million by 2040. Planned like a vast triangular slice of cake, the extension goes so far back that most worshippers won’t even be able to see the Kaaba.